Road trip part 2: Coffs Harbour. Coffs Harbour is one of the strangest places I’ve been to in my life. Once an action packed holiday destination, now a sort of post-apocalyptic shell of a holiday destination. You almost expected to come a cross a ferris wheel creaking desolately in it’s abandonment. The views however, were beautiful. We stayed at th Novotel. Don’t get too excited, many rooms of the hotel have been bought by people who live there permanently because it was doing so badly. The grounds are immaculately kept and empty, and the interior and general decor of the hotel is a peach flavoured homage to Christopher Skase. 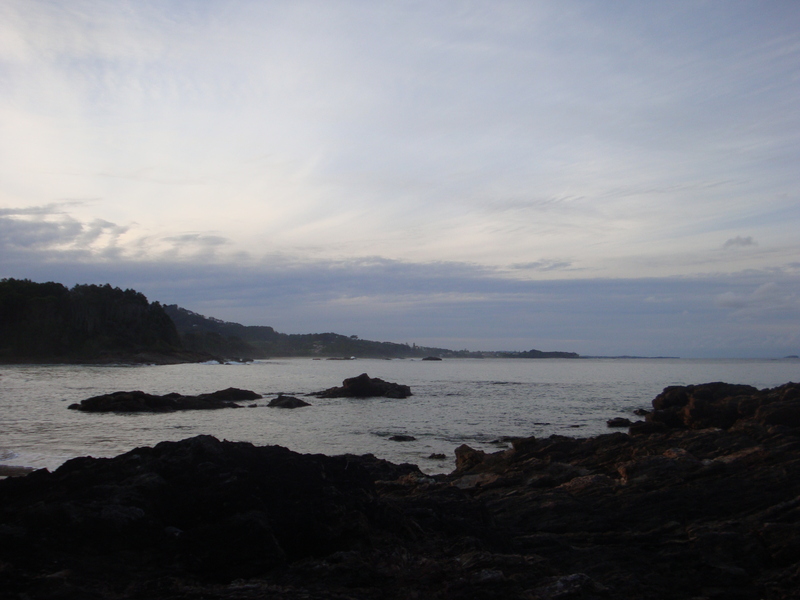 It does however, have a private beach, which is gorgeous. 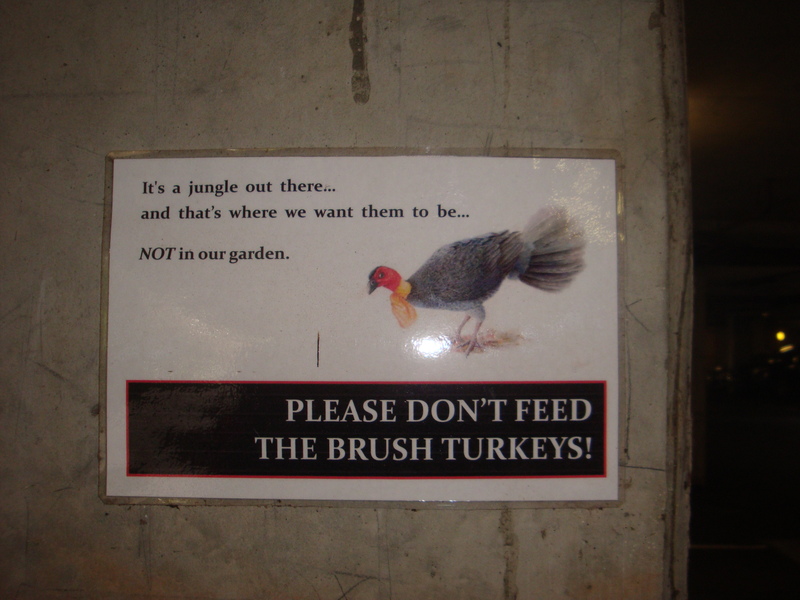 The hotel was full of strange things, like brush turkeys. Wandering around outside your room. 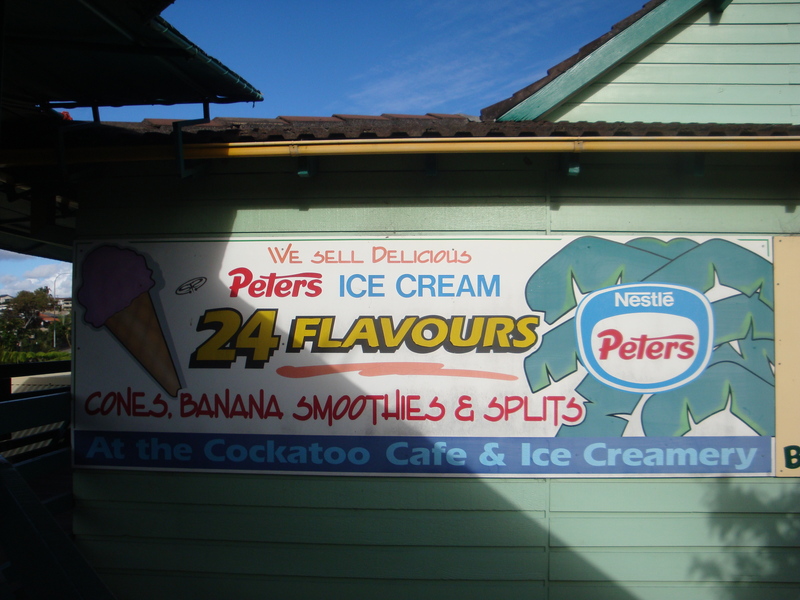 In spite of it being deserted and somewhat frightening, Coffs had one redeeming feature. 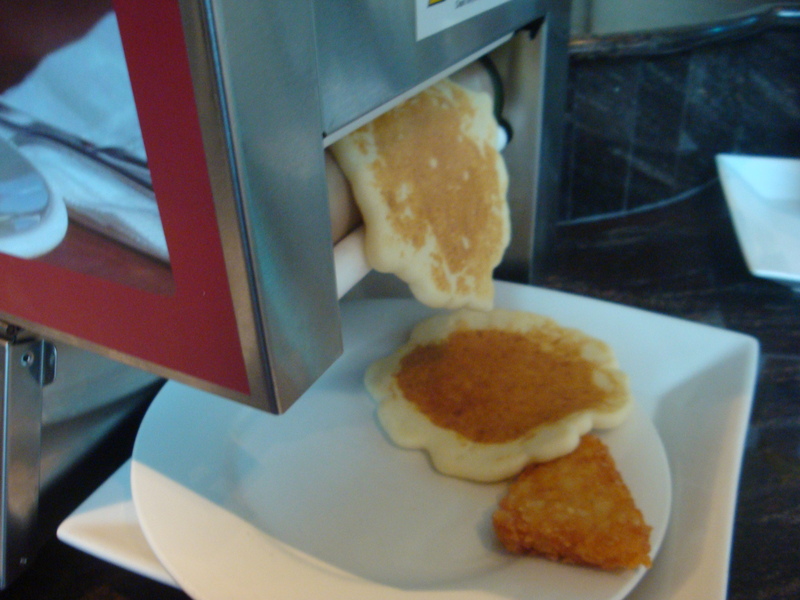 Behold, the pancake machine. I want one. I’ve been to a lot of hotel buffets. 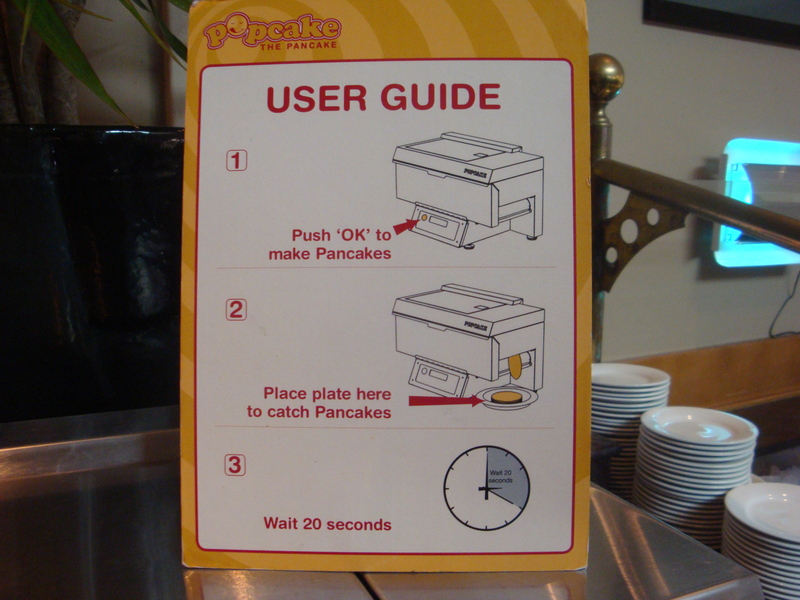 Never one with a pancake machine. 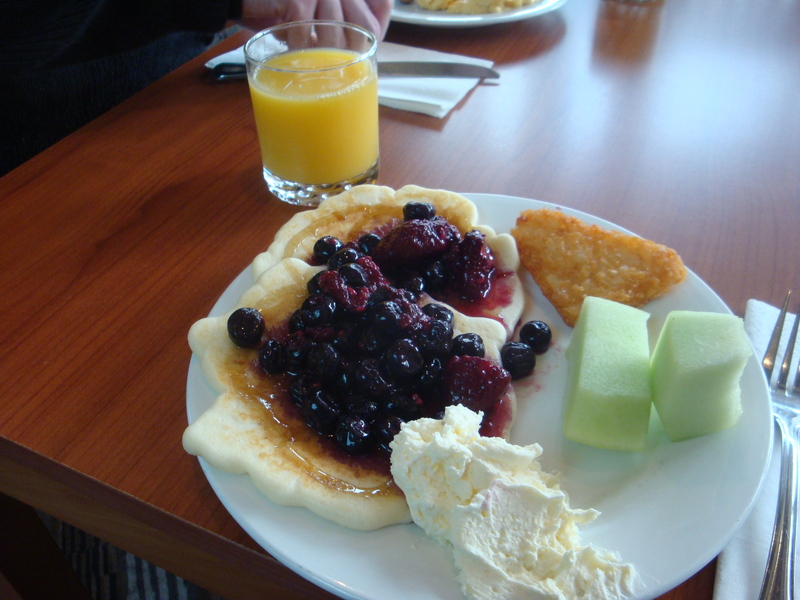 The rest of the food was superior to other hotel buffet’s too. 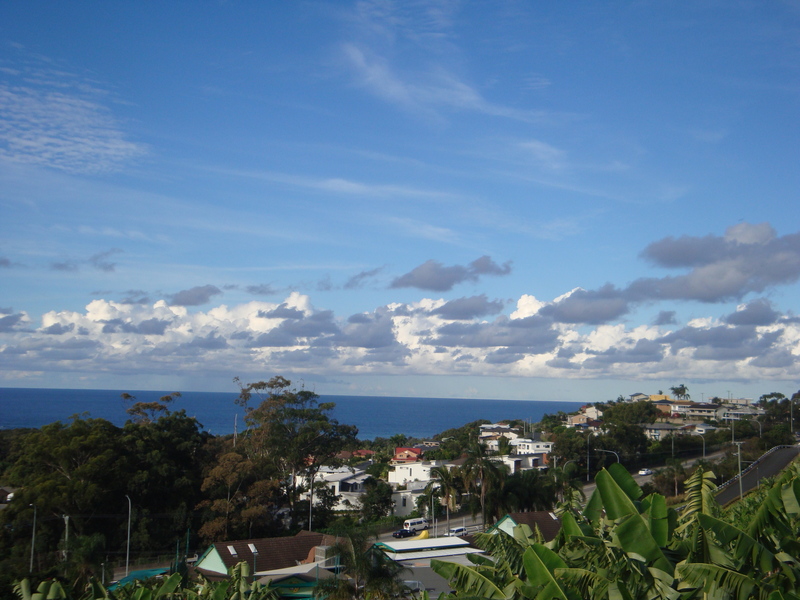 Next stop, Bangalow and Byron Bay! It’s been a while since I’ve posted. Clearly it takes a good 5 and a half weeks to adjust to ones new surroundings – amusing since I’ve only two and a half weeks left to go. Mr G and I made a bit of a road trip out of my secondment, starting with the Hunter Valley. 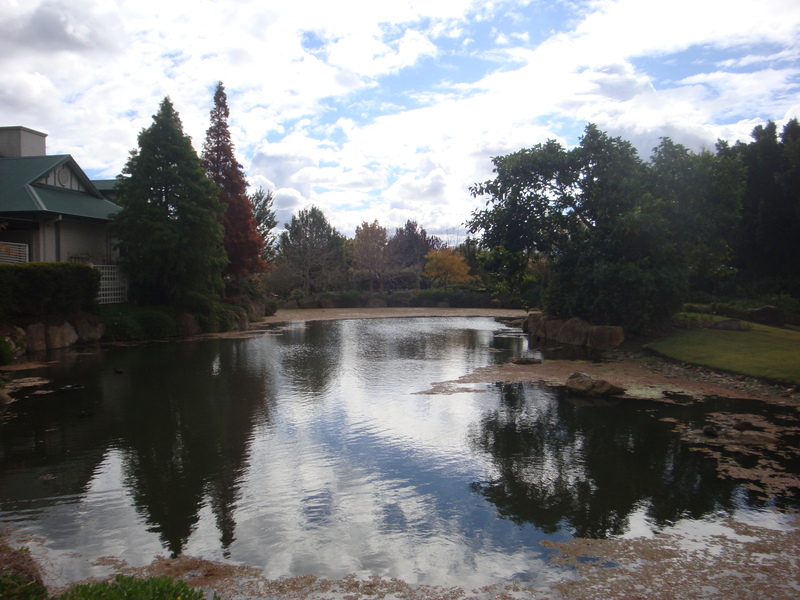 The Hunter Valley Gardens are a lovely place to visit – if you’re willing to pay the $20 entry fee! We weren’t so I took a photo from the outside. The Hunter Valley Chocolate Festival is held here – I don’t mind paying it then. There is also fruit growing on the trees inside – do with that information as you will. Even if you don’t go inside, on the site are a handful of gorgeous little shops selling local art, wines and other goodies. 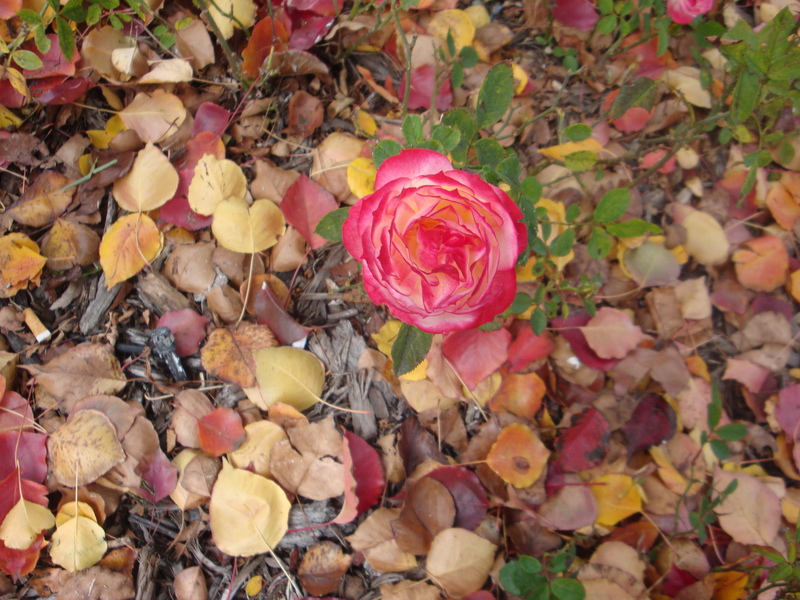 Nature also likes to put on a pretty good show in the Hunter in autumn. Some people photograph their wine exploits, it makes sense. 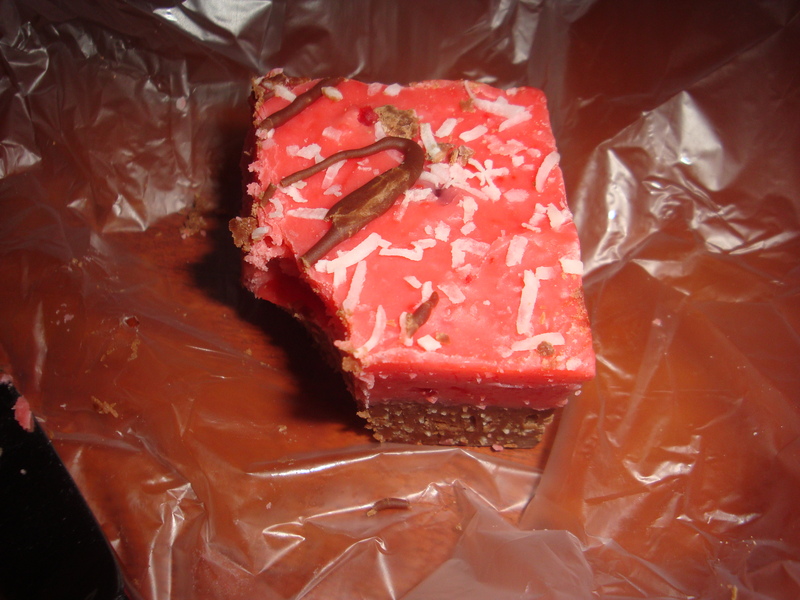 Our first stop however, was the Hunter Valley Chocolate Factory, this is their cherry ripe fudge. It didn’t last long! Next stop, a very long distance away, was the Big Banana. It was hilarious. And empty. Like the ghost banana that time forgot. I ate a banana ice cream to celebrate the occasion. Mr G had a banana milkshake. Neither were made with real bananas. This was a flashback to my childhood. I felt a bit like I was in a Stephen King movie. 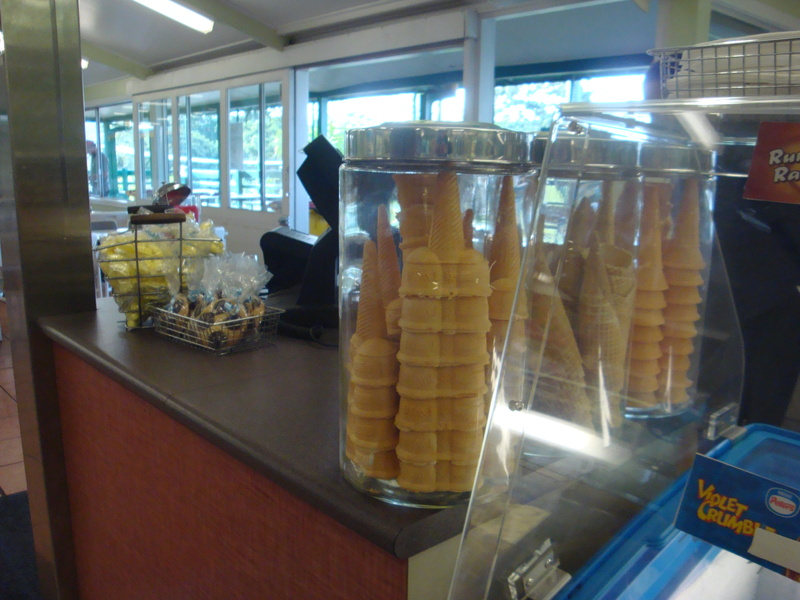 The banana ice cream was the colour of candy bananas. And yet the sight of all those cones awakened my inner child and got me excited! 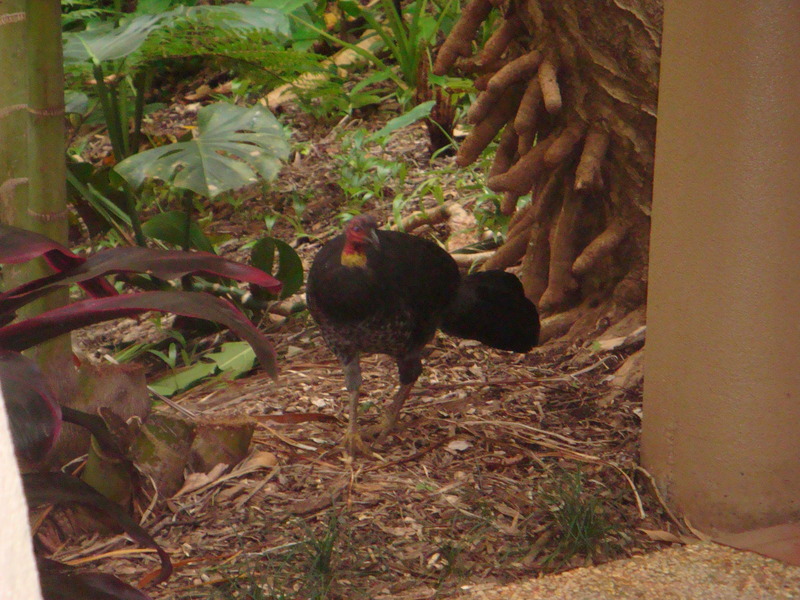 Next post – the strangeness that is Coffs Harbour!